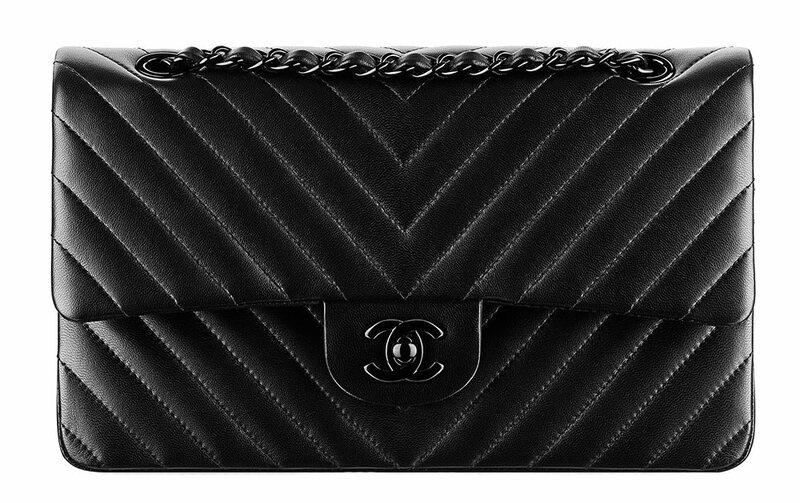 Okay, guys, I’ve got a little secret for you: the Chanel 11.12 Flap Bag is basically just a Chanel Classic Flap Bag with chevron quilting instead of the brand’s classic diamond pattern. It’s branded as a whole new thing for Spring 2015, and while it does have some detail variations, it is, in a practical sense, basically the same. Even the prices are the same! Except fashion doesn’t begin and end with practicality, of course, so it’s totally different. 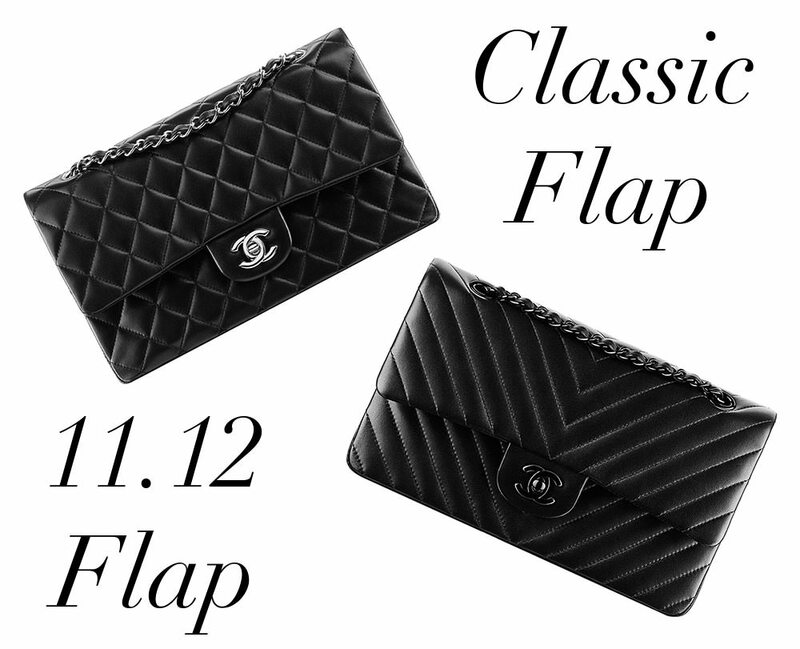 The 11.12 and the Classic Flap are like a case study in how changing one or two things can change a piece’s entire vibe. The Classic Flap is prim, elegant and, as the name suggests, a classic. The diamond pattern and shiny hardware are timeless finishes. The 11.12, on the other hand, feels a little more rock ‘n roll, particularly in the black-on-black fabrication that’s been the new line’s leader. It’s no coincidence that Kristen Stewart was picked to front the bag’s ad campaign–her particular brand of punk androgyny brings out the bag’s more modern feel. Because my personal style is fairly tomboy-ish and incredibly heavy on black, I’m a big believer in the 11.12–I’d love to get my hands on one. Which version of this iconic design do you prefer–the classic or the newcomer? 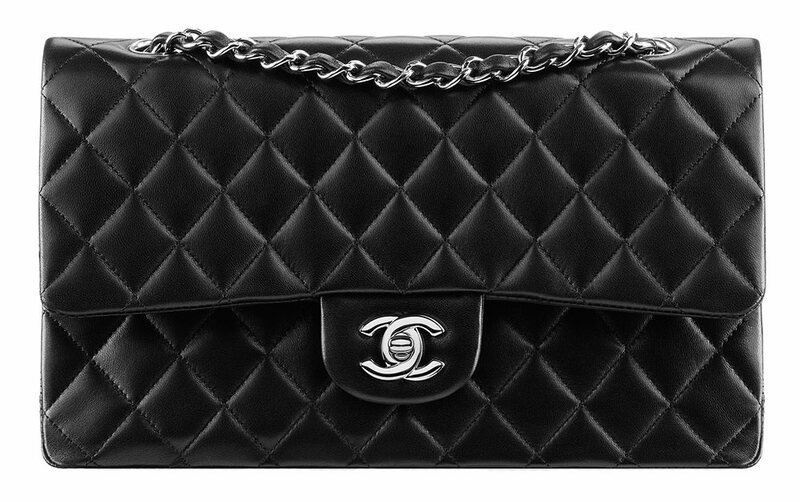 For more information about the Chanel Classic Flap Bag, check out our ultimate guide to the design’s sizes, leathers, colors and prices.